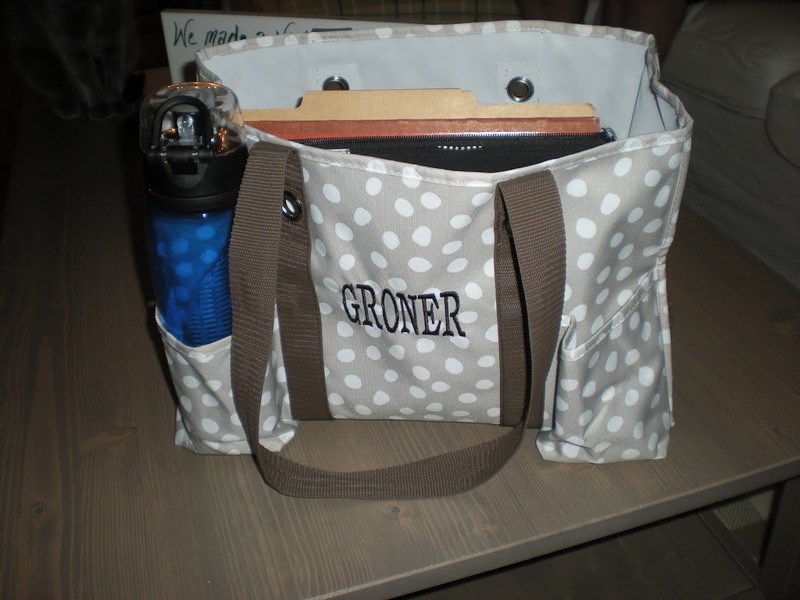 After seeing some Thirty-One bags at a wedding a few weeks ago, I was intrigued. 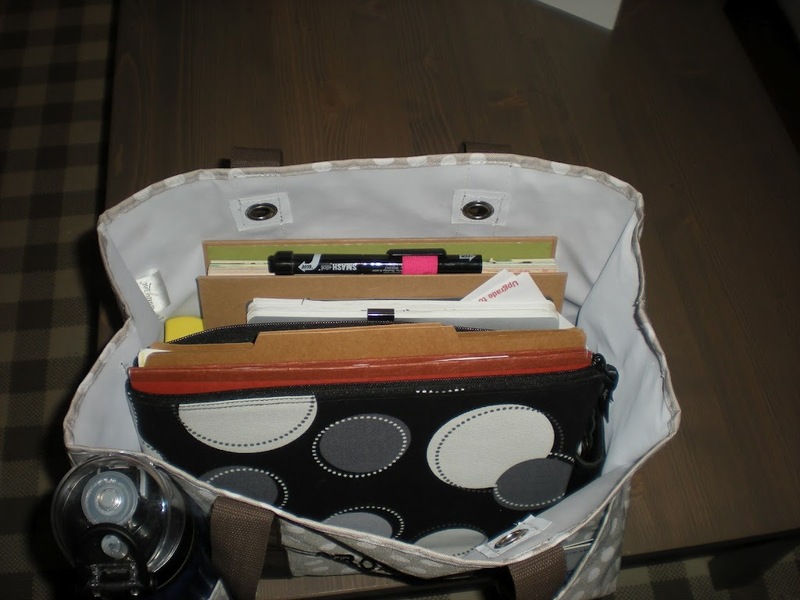 I usually carry either a book bag or a Vera Bradley purse with me, but I loved the idea of filling up the utility tote with everything I need for work and not having to carry multiple bags. 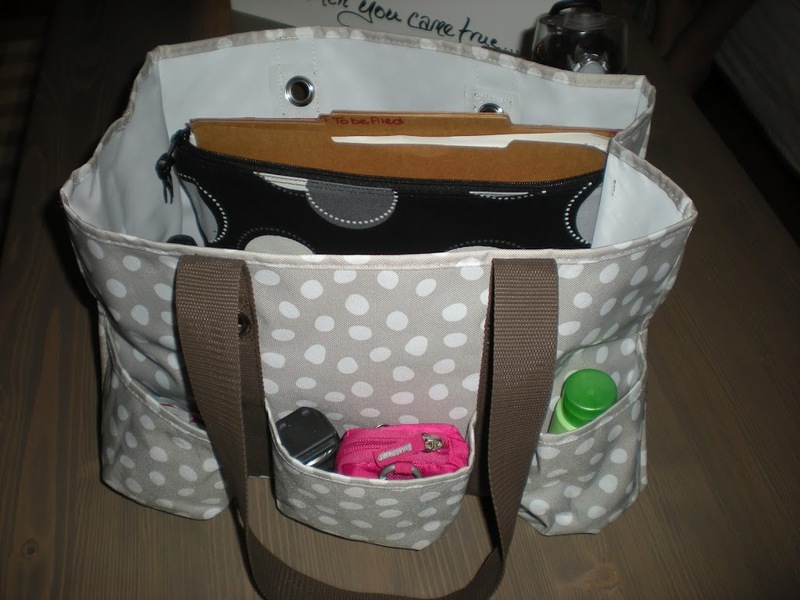 Thirty-One is an organizational bag direct sales company (like Avon or Mary Kay). You can order by finding a representative on their website (located here) and ordering through her. They have parties that you can attend to look at the bags. Ordinarily, I'm not a fan of direct sale companies, but I decided to give this bag a try. 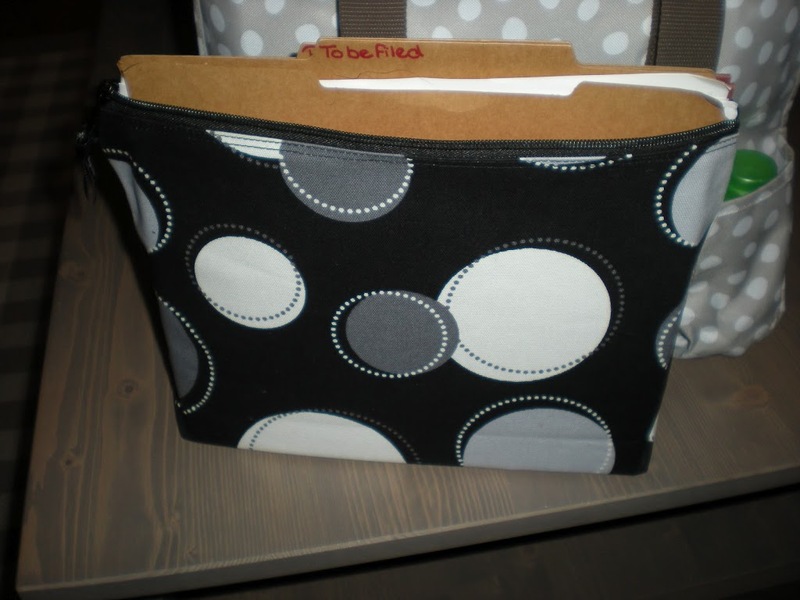 I purchased the organizing utility tote for $30.00 and took advantage of the June offer for $5.00 embroidery and a $5.00 mini zipper pouch (normal retail value is $15.00). The best part of the bag is that it has a rectangular bottom that holds it shape, so you can pack it full, and your items stay upright and easy to see. 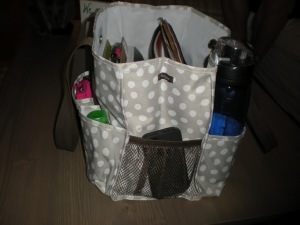 The bag has tons of pockets and makes it easy to create a routine of putting things in the same pocket each time. My Smashbook with double sided pen and glue stick (for more info on the Smashbook- a.k.a the scrapbook's unruly little sister, click here). My new “Office in a Bag” for finances, containing bills, files, our budget book, our extended budget, envelopes, stamps, and a checkbook. The book I'm currently reading, and a small notebook. A clipboard with my blog schedule and idea notes. 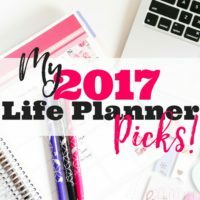 You can get your own blogging schedule for free here. Front Right: Access Cards, Hair Tie and Chapstick. Right Mesh: To Be Determined. 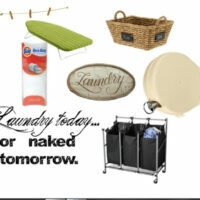 Rear Right: Wet Naps and Other Germaphobe Goodies. Right Middle: Pepper Spray and My Camera in its Case. I use a carabiner to connect my keys together with my Vera Bradley Zip ID case (you can find one here), which I use as my wallet. This allows me to leave my bag in the car if I'm just making a quick trip. I love the new set up, the bag replaces three that I used to bring to work every day, it doesn't hurt my back or shoulders, it's so easy to grab what I need quickly and it's easy to keep organized. Plus, it's cheaper than Vera Bradley! I love bags like that. I can go away for a full weekend with one of them (and have). I find that they do tend to collect “junk” if you don’t keep right up with them. 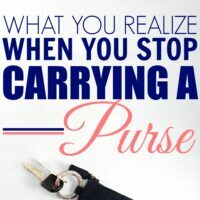 I’ve been pretty disciplined with mine, but I’ve only had it for 3 weeks:) My other purse was a mess before I switched them out. I’m convinced its the structured bottom. I love that things stay upright and its easy to see all of the contents. Wow, that looks really cool. 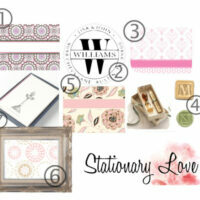 I love stuff that helps with organizing. I’d be a huge mess otherwise. Where do you find them? Do you think it would work as a diaper bag too?